Welcome to my new venture! I would be delighted to receive any contructive comments that you have on either the art work displayed on the site, or about the website itself. Can’t wait to see all your hard work displayed together in a terrific space. Date in Diary , filled with anticipation. 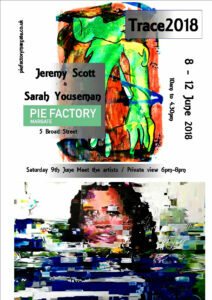 Great work, professional site; can’t wait to see it all come together at the Pie Factory next week. Clever provocative concept. Meticulous detailed artwork. As always. Amazing and very inspiratory. All very professionally displayed at the Pie Factory with great impact.